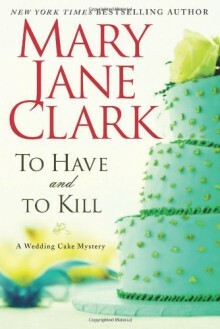 “Clark has perfected the suspense novel.”—BooklistNew York Times bestselling author and mystery writer par excellence, Mary Jane Clark kicks off her delicious new Wedding Cake mystery series with To Have and To Kill. A tasty departure from her thrillers featuring KEY News television anchor Eliza Blake (Dying for Mercy, It Only Takes a Moment), To Have and To Kill introduces readers to actress-turned-wedding cake decorator Piper Donovan, who discovers that the heat in the pastry kitchen can be hotter—and deadlier—that she ever imagined…and that her creative new enterprise is anything but a piece of cake. Foodies and fans of cable TV’s Amazing Wedding Cakes, as well as Faye Kellerman, Jayne Anne Krentz, and Diana Mott Davidson readers are going to eat this one up! Cozy mystery, and fine for what it is. Overly simplistic at times and occasionally too cutesy. An easy read, and relative short. This isn't my genre so I can't comment more than that, but fans of cozy mysteries may enjoy it. Very mediocre read! Will not bother with anymore in this series!